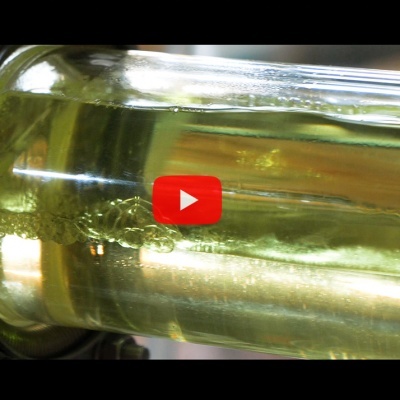 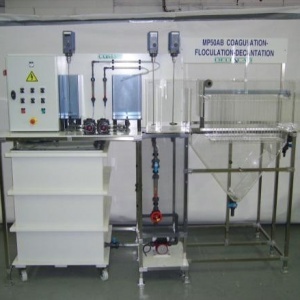 This unit completes the coagulation pilot-flocculation-decantation to make drinking water. 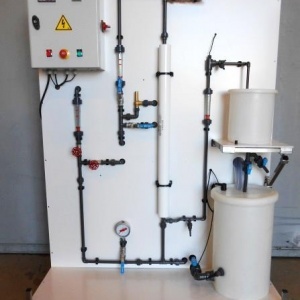 It consists of a sand filter, an activated carbon filter to remove residual microorganisms and colloids from the water coming out of the sand filter and a chlorine disinfection module. 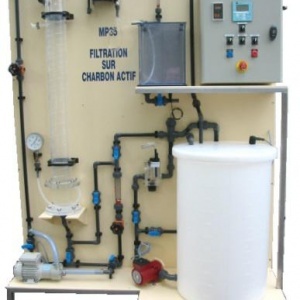 This unit connects electrically to the coagulation-flocculation-settling unit MP50ABC (provided in item1) for tank level management. 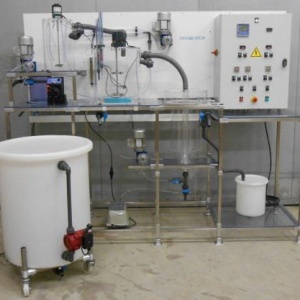 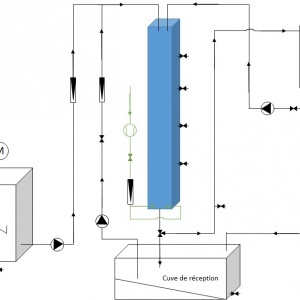 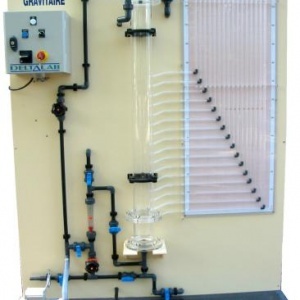 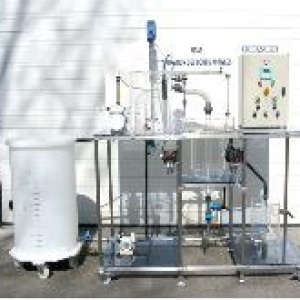 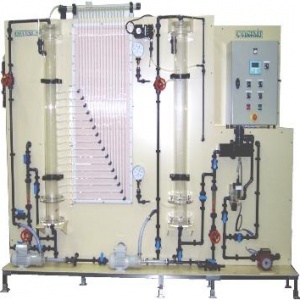 This unit allows the study of the filtration thanks to the piezometric tubes placed along the column of sand (Study of the law of Darcy, the porosity of the bed of sand, the permeability according to the height of water, the clogging of the filter, efficiency of the backwash). 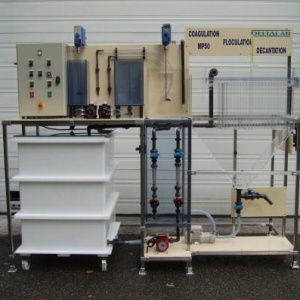 With sand filtration you can also use the de-ironing process with bleach or the appropriate flocculant and dechlorinate and / or bleach with the activated carbon filter by checking the continuous chlorine level at the outlet of the filter. 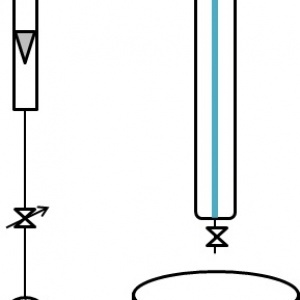 column. 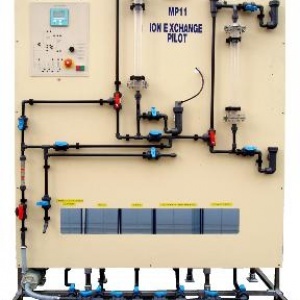 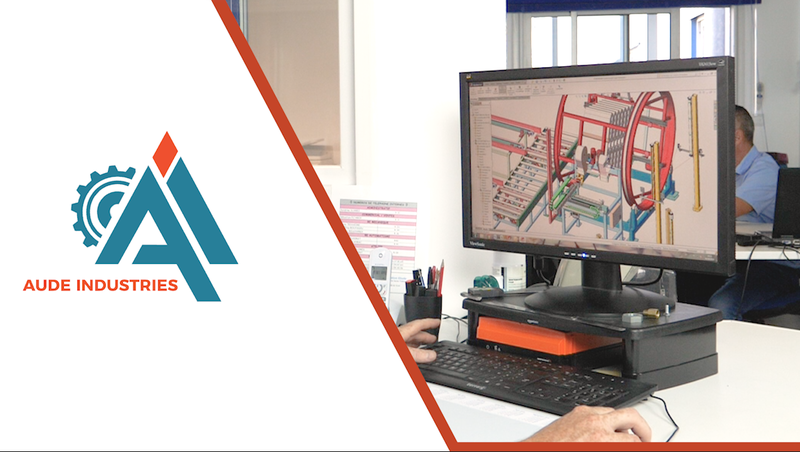 The control cabinet includes the safety relays and the protection of the three pumps.